“Become expert at something,” is often posited by career counselors as one way to find work. An early adopter of LinkedIn, Jeff Zelaya has done just that, riding the network’s wave ever since. Three years ago Jeff graduated from college with four great job offers, three of which were with Fortune 500 companies (Pepsi, ADP and Macys). Did he go to Harvard? No. Did his Mom or Dad make introductions for him? No. So how is it possible that, at a time of record-high unemployment (particularly in Florida where he went to school and lived), Jeff was so fortunate? The answer is LinkedIn. As an undergraduate, Jeff mastered LI after one of his professors suggested that students get familiar with this new social network. In short order, Jeff created a profile, became involved in his school’s LinkedIn alumnae group (Florida International University) and landed a paid internship at ADP by responding to a job posted in the group. Hired to help the salespeople with business development, he quickly began training them on using LinkedIn as a tool. At his university, word spread about Jeff’s expertise with LinkedIn and suddenly he was doing workshops on his campus and then at other schools (Broward, Florida Atlantic). Companies even asked him to come in and train them. At the age of 22, CareerPartners International (a global recruiting organization) asked Jeff to speak at their annual conference—an event large enough to draw recruiters from as far away as China and Australia. Jeff followed up with meeting attendees and before long he had acquired over 100 recommendations on his LinkedIn page—the highest to date by a young professional. This, combined with the five paid internships he completed while in college, made him exceptionally marketable. In the end, Jeff took the position with the hot online agency, MediaWhiz, where he could apply his extensive knowledge of social networking. When his wife was recruited by The Discovery Channel, he left his position and moved to Washington D.C. While searching for employment in the D.C area, Vocus was a company that kept surfacing. Submitting a resume, Jeff made it through the “first cut” and was brought in for an interview. During the interview they asked Jeff “What would your former boss say about you?” Using his iPad, Jeff showed the hiring manager the recommendation from his former boss (and others). Guess what, he got the job. *Develop your personal brand before you do anything. Define your specialty and ensure that you use the same professional picture and name for all your portfolios, social media accounts, business cards, blogs and other methods. *Create an effective LinkedIn profile by completing it 100% and using targeted keywords in your descriptions. Join groups and connect your other social media to your LinkedIn page. This will help increase your visibility in a search. *Maximize LinkedIn recommendations because they increase your position in both LinkedIn and Google searches. Recommendations usually contain keywords that both recruiters and hiring software are looking for. Employers complain that they can’t find people with specialized skills. That could mean expertise in fixing today’s computerized elevators, knowledge of new medical billing requirements for physician offices once Obamacare is rolled out, or experience with Yammer as a small business communication tool. Find your niche, brand yourself and make your opportunities. You could be the next thought leader hired for your knowledge! 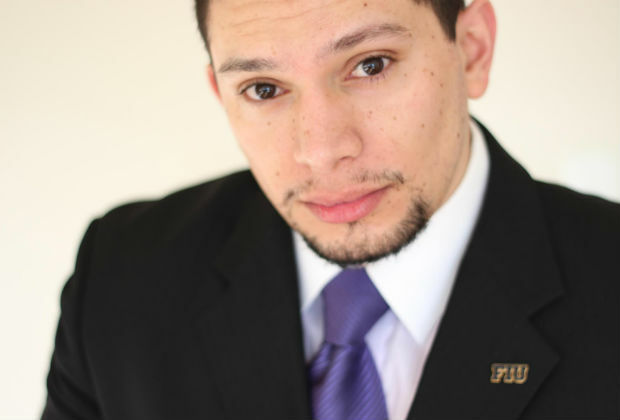 Jeff Zelaya lives by the motto: “If you help enough people around you reach their goals, then you too will reach yours.” Therefore, he combines his love of helping others and of social media to teach people and organizations how they can leverage social media to reach their goals. Jeff’s an entrepreneur, public speaker and a PR/Marketing consultant. You can find Jeff on LinkedIn or blogging. For the basics on using Twitter for your job search click here. For another job search success story about social media, meet Ian. Ian used ads on Facebook to land a job!